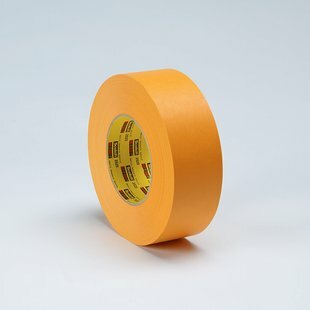 3M Scotch® Performance Masking Tape 2525 is ideal for holding, splicing, masking or other adhesive tasks in which high strength, heat resistance and backing strength are necessary. Heavy Thickness paper backing for strong paint lines. Natural rubber adhesive allows for strong, instant adhesion.